An international team of CRISPR-Cas researchers has identified three new naturally-occurring systems that show potential for genome editing. The research, published today in the journal Molecular Cell, was supported in part by the National Institutes of Health. Enzymes from the CRISPR system are revolutionizing the field of genomics, allowing researchers to target specific regions of the genome and edit DNA at precise locations. “CRISPR” stands for Clustered Regularly Interspaced Short Palindromic Repeats, which are key components of a system used by bacteria to defend against invading viruses. Cas9 — one of the enzymes produced by the CRISPR system — binds to the DNA in a highly sequence-specific manner and cuts it, allowing precise manipulation of a region of DNA. Enzymes such as Cas9 provide researchers with a gene editing tool that is faster, less expensive and more precise than previously developed methods. The three newly-characterized systems share some features with Cas9 and Cpf1, a recently characterized CRISPR enzyme, but have unique properties that could potentially be exploited for novel genome editing applications. 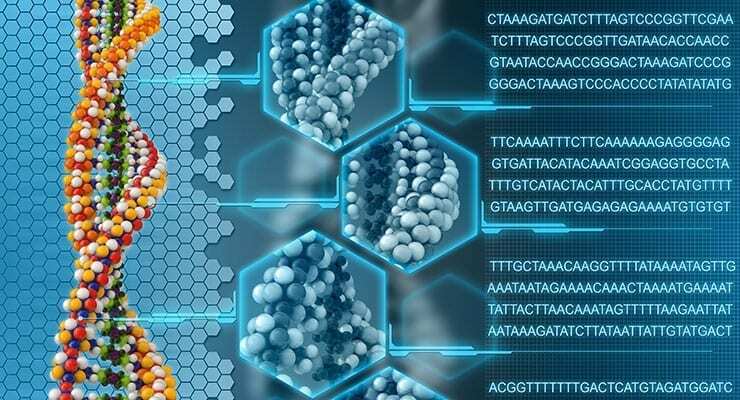 The researchers took a novel bioinformatics approach to discover the new proteins, provisionally termed C2c1, C2c2, and C2c3, developing a series of computational approaches to search NIH genomic databases and identify new CRISPR-Cas systems. In addition to Koonin, the research team included Feng Zhang of the Broad Institute of MIT and Harvard and the McGovern Institute for Brain Research at MIT, Konstantin Severinov of Rutgers University – New Brunswick and the Skolkovo Institute of Science and Technology, Omar Abudayyeh, a graduate student at the Harvard- MIT Division of Health Sciences and Technology, and NCBI’s Kira Makarova, Sergey Shmakov (also at Skolkovo Institute of Science and Technology), and Yuri Wolf. Initial experimental work exploring the function of these proteins reveals that they are substantially different from Cas9 protein, which has been widely used for genome editing. Read the study: Discovery and Functional Characterization of Diverse Class 2 CRISPR-Cas Systems.